This icy hued coat, featured in the Cruise 2019 presentation, brings a cozy, textural element to winter looks. It is made of faux fur created from soft mohair, which is both natural and incredibly warm. 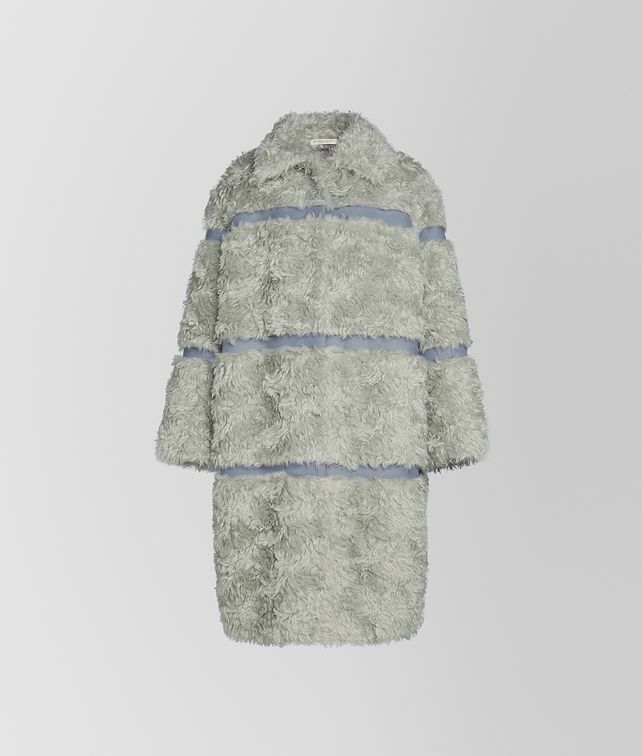 The furry texture is accented with stripes in tonal cotton velvet. The coat features a flat collar and pockets at each side of the waist.